Chevrolet has been one a fan-favorite automobile manufacturer for many years now. With some of the most reliable vehicles around and a varied lineup year after year, Chevy has continued to grow with each new release. 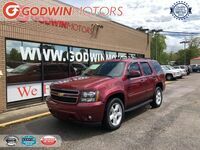 For those in the market for an exciting vehicle, look no further than the various used Chevy vehicles in Columbia, SC, available here at Godwin Motors. It’s pretty incredible to think that Chevrolet has been around since 1911, more than 107 years ago now. Founded by Louis Chevrolet and William C. Durant in Detroit, Michigan, the first Chevy model was the Series C Classic Six. The company also implemented its now famous bowtie logo back in 1914 on their H and L series of vehicles. Today, Chevrolet continues on strong and is known for their impressive lineup of vehicles consisting of various styles and sizes, along with their dependability. For fans of the popular SUV segment, models such as the Chevy Equinox stand out as a perfect blend or performance, style and efficiency. Sedan models such as the Cruze and Malibu are also efficient and feature-rich, where trucks such as the immensely popular Silverado 1500 are tough, versatile and able to take on any job at hand thanks to its strong design and power options. Whichever kind of vehicle you’re interested in driving, there is surely a Chevrolet vehicle that fits your style. 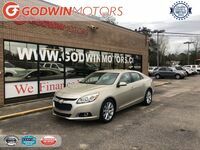 If you would like to learn even more about all of the available used Chevy vehicles in Columbia, SC, be sure to contact us at Godwin Motors. You can also test drive your favorite Chevrolet vehicles by visiting our dealership today. 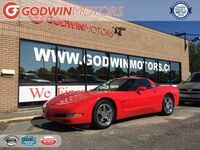 We would be more than happy to assist you in any way we can with your next car purchase right here at Godwin Motors. Interested in a Chevy vehicle?